But, this morning as my son was eating breakfast, I felt an urge to sap some of my boredom so I grabbed my Kindle Fire and looked up Pinterest to see what was new as I finished up my coffee. Expecting to see pretty things to inspire and entertain me, I saw my feed was actually flooded by ugly things, thanks to my sister. Things that were hard to look at first thing in the morning. Tiny, emaciated bodies. Dirty faces. Children surrounded by garbage. Poverty. To brag a bit on my sister a bit (I can feel her blushing from miles away), she is one of the most beautiful (inside and out) and compassionate people I’ve ever met. When she was five, my parents asked what she wanted to be when she grew up. She answered that she hated the thought of people dying alone without anyone caring for them. To add perspective that she was only five, when I was five, I said I wanted to be a My Little Pony. A lot of us, especially millennials care about social issues, so this post isn’t to guilt the reader, or to add the white-noise surrounding an issue many of us are aware of. But I’m here to admit, I’m not sure why this “issue” of global poverty doesn’t stick for very long in my mind. I was analyzing my paralysis towards action against extreme poverty this morning, and I think the problem is that global poverty is viewed as a horrible tragedy. Something undeniably terrible, but an insurmountable problem that can’t really be prevented. So I think it’s not that most people don’t care deeply about global poverty, but that maybe they feel helpless. I hope to look more into this issue, and write more about it. But for now this is where I’m at: a bit overwhelmed but willing to take action. Whether you’re racked with student loans, trying to find a job, underemployed, or have finally “made it” financially speaking, I hope you’ll join me in trying to take action in helping stop the destruction of extreme poverty. So thanks to my sister for keeping aware of this issue in the midst of a happy and healthy life. Thanks for reminding me this isn’t a concept, but real. It’s not a tragedy, but something that can be prevented, and alleviated. 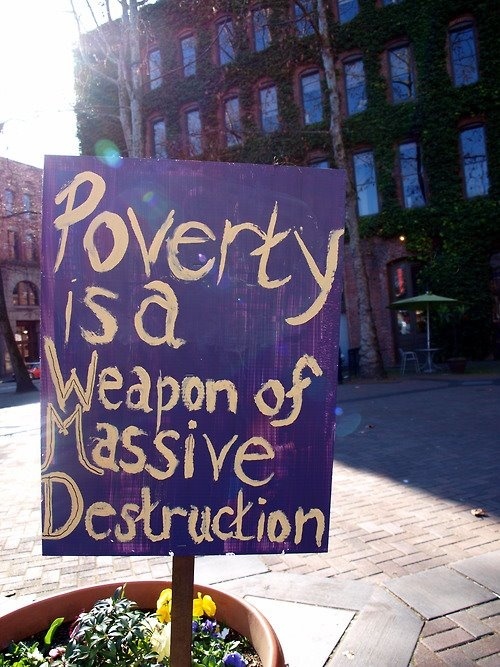 What nonprofits or organizations do you support to alleviate extreme poverty? What practical steps do you take to make it possible to give a portion of your money to a good cause? Let me know in the comments. Thanks! Thought provoking post. What does your sister do now that she’s older? Throughout high school I participated in Habitat for Humanity builds. 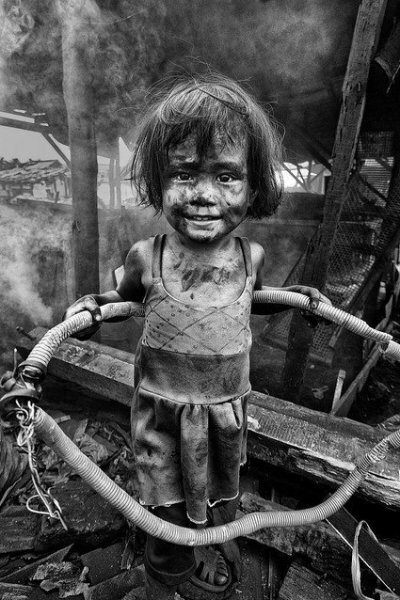 Growing up overseas, I was able to take those trips to some really destitute areas in the Philippines, Thailand and China. It’s a great organization and I’d encourage everyone to try at least one trip with them. Hi! She stays home with her 2 kids right now, and does work as a professional photographer (she does amazing work). She’s talked about finishing her degree in Social Work. It must have been an interesting experience growing up overseas! I’ve been to Mexico a few times to do volunteer work, and working w/ the kids was always heartbreaking. I have some friends who went to Thailand and one to the Philippines to do volunteer work, and were changed by their experiences. I agree that there is a tendency to view many horrible situations as a tragedy, and therefore something we can do nothing about. However, if we were ourselves in those situations many of us (not all) would struggle with tooth and nail and every breath in our bodies to get out. Furthermore, most of us would like to think that, by the grace of whatever we believe in, we would succeed. Yes, there are emaciated children dying in horrible conditions; but there are also emaciated children fighting incredible odds to live. And when I look at global poverty from that perspective I don’t see a tragedy I see a story, a story which a donation of time or money or even words by anyone could help write. I think that with a little help those tragedy-kids will find their own happy endings, and I especially like the smaller non-profits with a commitment to doing just that. Thanks for feedback. IMO this issue is worse than a tragedy because it can be alleviated. Let me know of any nonprofits you know of that are doing good work w/ this issue. It’s too hard for me to donate any of my money to a non-profit, but I have volunteered and work for a non-profit. I am an AmeriCorps member so that helps directly. I am in hopes of working in non-profits dealing with homelessness. If the corporate route takes me someplace, then I’ll probably hope to donate some of my money to non-profits.